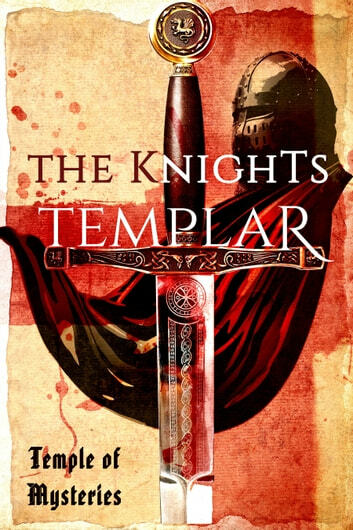 Mystery surrounds virtually every aspect of the Templar story, from their origins in the aftermath of the First Crusade, through their rise to supreme wealth and power - dominating medieval Europe for nearly two centuries - to their abrupt and dramatic suppression. Ferociously punished for alleged heresy and depravity at the beginning of the 14th century, their story is believed to have ended there, merely an interesting historical footnote. But did they, as many now believe, survive in secret? Does the original Order of the Knights Templar actually exist today? Following their dramatic demise, and particularly over the course of the last three centuries, the Templars have been placed at the heart of Western esoteric and arcane tradition. They are believed to have been the conduits through which great occult secrets of the past were transmitted to future generations of secret societies and adepts, or through which deeply esoteric and heretical doctrines were channelled into Europe from the Middle East or even further afield. They are said to have been the guardians of secrets that threatened to undermine the foundations of the Christian Church, and have been linked with such potent objects as the Holy Grail, the Ark of the Covenant and the Turin Shroud. Historians generally dismiss such claims as fantasy and mythmaking, complaining that whenever a gap in the historical record needs to be bridged the Templars are invoked. The complaint is, to an extent, justified; many of the modern claims concerning the 'secrets' of the Templars are patent nonsense, and many other theories, while plausible, rest solely on speculation. However, the Templars fit into this role so neatly because there are unanswered questions and real mysteries about them. The Order had an obsession with secrecy that makes it difficult for historians to answer some of the most basic questions about them and to piece together a complete account of their history and activities, and which fuels speculation that the Templars had a hidden agenda. Diana: Death by Accident or Design? A fascinating read and insight into the origins and final history of the order. The author used other reference books to concur and assist with theories put forward. Most enjoyable read. Hard to know if this is fact, fiction or plain fantasy. Still this book is worth a read if only to encorage more serious research on the subject. What the book does well is gives locations, dates and names for further research. Not finished yet but finding it hard to put down even at midnight when having to work in the morning. Christ's soldiers fighting Selahaddin with Hashashins' help,above secular rulers,accountable only to the pontiff,making money by lending like Shylock. Philip la belle torturing these guys,Clement playing the chicken. Where are the good guys? Whom we don't see in this farce? Blacks and Asians. They are the good guys (until I read about their atrocities).